Country Club Casino is one of the popular casinos in Australia, specifically, Launceston, that offers several services to customers seeking new experiences in gaming, gambling and sports. 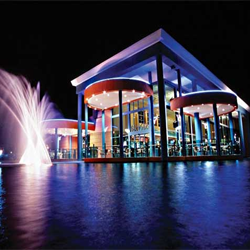 It is home to an 18-hole golf course where the casino is commonly used as the starting point for events and races. The establishment and founding the casino was done in 1968 in Prospect Vale, Launceston, Australia and opened doors to guests in 1982. Following its opening, it became Tasmania’s second to open and Australia’s third. 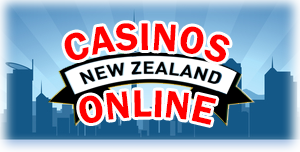 The casino’s appeal to customers is the fact that it is set in a picturesque environment, the kind of environment where numerous Aussie go to get away from it as well as get spectacular accommodation services in hotels and villas. Diverse casino players seeking new experiences stream here to play casino games that compliment other sporting and relaxation activities that are available. The casino stands out from the rest by standout promotional features. It offers gaming credits and discount at its bars and restaurant as well as days where golf and spa is at a discounted price. Consistent players gain access to rewards given by the casino by enrolling in the Federal Reward Club, which covers all that the country club has to offer. The restaurants available, great food with amazing selection which is always fresh and plenty. Dining services are efficient and friendly, with an outlook that is relaxing and enjoyable due to the cool atmosphere. To ensure that customers enjoy a variety of gaming activities, the casino has the latest electronic gaming pokies as well as table games like pool tables. At your disposal are two gaming areas that cater for everybody, from the holiday-maker to those just want to have fun or even casual flutters. State of the art gaming pokies that range in denominations. Major gaming pokies and features available are linked jackpots-several pokies joined together to offer progressive jackpot running into thousands of dollars- an interesting aspect that offers a wealth of excitement and fun to players. Other games available are poker, blackjack and sport betting keno. The Country Club comes with great responsibility proud heritage and always tries to capture and continue with cultural values and legacy that have lived on for over three decades. It is important to note the presence of live entertainment as you enjoy pokie gaming. The location of the country club is on 300 acres of parkland yet minutes-drive from Launceston CBD. , dining and accommodation services offered upon arrival are world class making it the premier recreation point. You can choose accommodation services from deluxe hotel rooms to luxurious suites that come along with 1, 2 and 3 bedroom self-contained in the nearby country club villas. Your security, friends’ and possessions are guaranteed as there is 24-hour surveillance as well as wardens and country club personnel who give directions on the vast country club. The water garden is open as follows Monday to Wednesday 9 am -2am, Thursday 9am – 3am, Friday and Saturday 9am – 5am, Sunday 9am – 3am and main casino Sunday to Thursday 11:30-1am Friday and Saturday, 11:30am – 3am. You can contact Country Club Casino on Country Club Avenue, Prospect Vale, TAS, 7250 or call us on 1800 635 (free call) +61 3 63355777 (internationally).